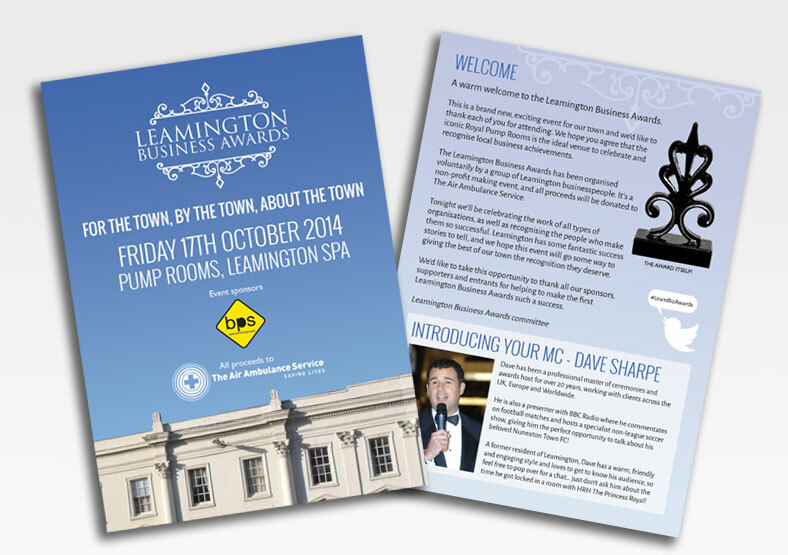 The Leamington Business Awards 2014 was the first event of its kind in the town where our business is based. Public created the logo and brand identity for the awards. The logo was inspired by the scrolling metal ironwork on regency buildings in the town. 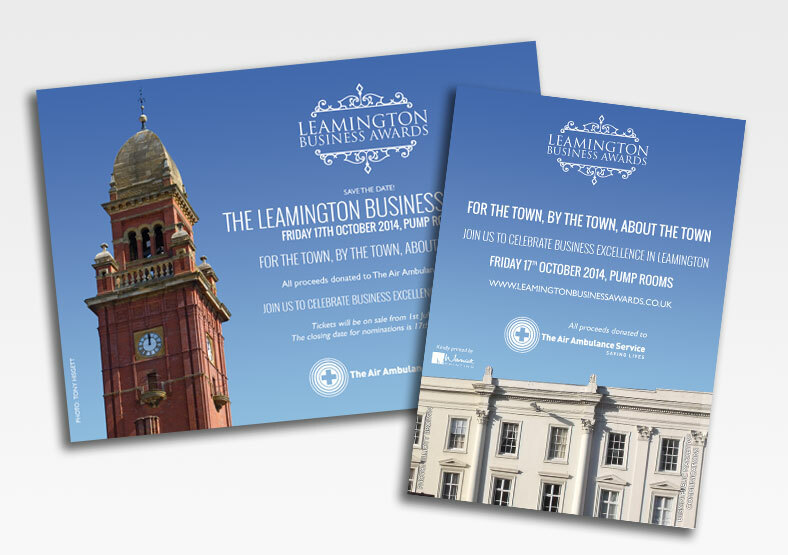 The wider brand identity was based around landmarks that would be instantly recognisable to residents and local businesses. 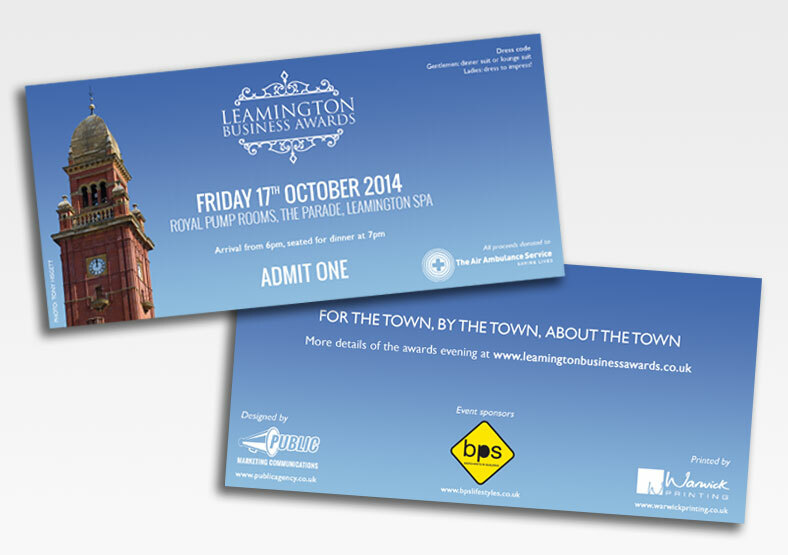 We designed all the promotional materials for the event, including a range of flyers, tickets, table plans, name cards, a plasma screen presentation, and a glossy 40-page evening programme. Public also supplied a copywriting service for the awards, writing the words for the website, blog posts, press releases, email campaigns, and text for the programme. We carried out a proofreading and editing service for copy submitted by third parties, to ensure all content was coherent and professional. The awards attracted 85 business entrants, and over 3,000 votes were cast. The success of the first awards was such that it has now become an annual event.